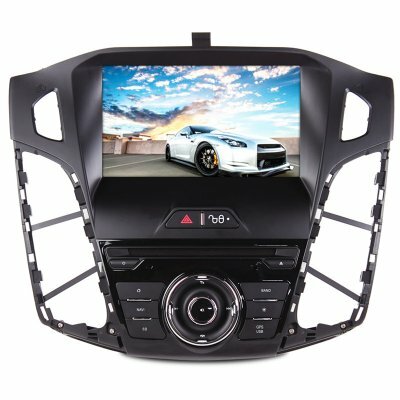 Successfully Added Car DVD Player - Ford Focus 2012, 8-Inch HD Display, GPS Navigation Support, Bluetooth, Hands Free Calling, FM/AM Radio to your Shopping Cart. This affordable car DVD player for your Ford Focus 2012 will keep your kids and passengers entertained during upcoming road trips and holidays. The car media player is simple to install and even easier to use. On its large HD 8-Inch display it lets you easily navigate through all its features. This car accessory supports up to 32GB external memory through both USB and SD. Additionally, it comes with a traditional DVD player. Simply slide in the media of your liking, press play, and you’re ready to go. With this car DVD player at your side, not a single moment of boredom will ever enter your vehicle again.